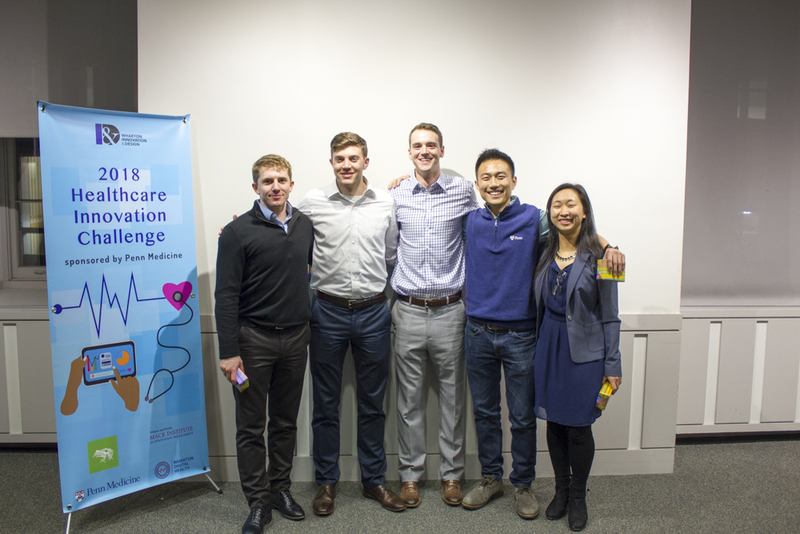 The Wharton Innovation & Design club is excited to partner with The University of Pennsylvania Health System in sponsoring the fourth annual Healthcare Innovation Challenge. The Penn Healthcare Innovation Challenge is a three-week event that provides an opportunity for graduate students from across campus to solve real-world healthcare problems using design-thinking and innovation principles. At the outset of the challenge, students are placed in multidisciplinary teams from graduate programs across Penn, including Design, Engineering, Medicine, Nursing, Integrated Product Design, and Wharton. Through workshops led by world-renowned designers and innovation experts, students will learn industry best practices for need finding, ideation, prototyping, and storytelling. Throughout the challenge, teams will utilize these approaches to develop creative solutions to the sponsor’s challenge. Frog, a leading innovation and design consulting firm, is partnering with the I&D club to guide participants in this design challenge. Students will work on a healthcare-focused challenge that Penn Medicine is currently facing. The topic for the 2019 Healthcare Innovation Challenge will be introduced at the kickoff event. Final deadline to apply: January 18th, 11:59PM! All participants must be members of the I&D club. Join here! Need-Finding: Uncover latent patient needs and learn to synthesize your observations. Over the last 20 years, Pennsylvania's largest hospital system, Penn Medicine, has invested heavily in the implementation of an electronic medical record system. One feature of the system is a technology-connected patient engagement portal, MyPennMedicine (MPM), which integrates with patients’ electronic health records, allows for secure communication with providers, and appointment self-scheduling. The use of the patient portal can be a powerful tool to transform care and outcomes, but its current capabilities are underutilized. The hospital is considering a switch to an opt-out system, where all patients will be registered on the portal by default. Students began the challenge with the prompt: How might we make electronic medical records more useful to patients?